If you are a serving member of the armed forces or a veteran, there may be benefits, grants or other financial support available to you and your family. Armed Forces Compensation Scheme - if you have an illness or injury caused by service in the Armed Forces on or after 6 April 2005. Armed Forces Independence Payment - alternative to receiving Personal Independence Payment (PIP) and Disability Living Allowance (DLA). War Pension Scheme - if you have an illness or injury caused by service in the Armed Forces before 6 April 2005 and are no longer serving in the Armed Forces. 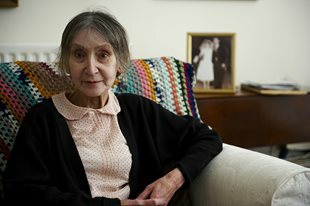 Margaret found she could get help from the Royal Air Force Benevolent Fund.